A mirage of shimmering white rock just below the surface of clear blue water. Sometimes named a magical underwater paradise, coral reef are not what they seem. The delicate and beautiful looking hands that extends from each coral in the reef are often a weapon of death. In the tinny tentacles are microscopic hairs, which are often poisonous. The hairs shoot out and capture prey. 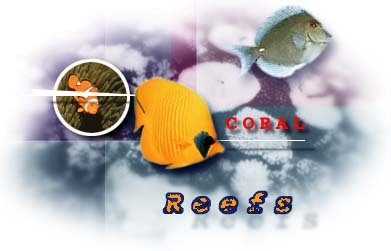 Corals are deceiving animals which are characteristic and shape of many of the world's shore lines. Please venture this magical world of corals and learn all their is to know about the deceitful little animals! !